As the leader of a municipality, are you wondering whether the smart city concept is still relevant? As the person in charge of the city’s communication, do you doubt that these digital transformations are still useful? In this post, you will learn the benefits of a smart city, whether it’s to have better management effectiveness, or to improve the lives of your citizens. We will also see which steps are recommended to make a successful transition to a smart city and be able to present concrete results that demonstrate your positive evolution. According to several studies, the concept of “smart city” refers generally to all technologies that are deployed at the city level to improve its efficiency and the quality of citizens’s life. stimulate economic development while reducing the ecological footprint, etc. Because a smart city can save lives! In a context where there are more and more natural disasters, it becomes imperative for cities to anticipate these events, in order to quickly ensure the safety of their citizens. This requires capturing data from different sources, such as weather forecasts, public health data, etc. Combined with learning algorithms, these datas are what allow cities to take more efficient decisions, faster and communicate with citizens so that they take action to deal with the situation. A collaborative platform can collect citizen reports (on potholes, breakage, etc. ), which can be use with data from the digital consultation system (or data from police service systems), to identify the most dangerous places in a city according to its citizens. Cities can then better allocate their resources and improve security management. Consequently, this saves time, since we are able to receive reports via the bciti platform. This can therefore reduce the amount of calls that are made because of alerts from citizens. Because a smart city make it possible to anticipate needs, take better decisions and be more efficient! With more and more citizens living in cities, demands for services are increasing and putting pressure on the costs of management and operations of urban life. However, the city’s revenues are not growing at the same pace as the needs, which requires the alignment of priorities and more efficient use of all resources. In addition, pluralism brings a variety of needs, values and opinions. City leaders must use all data, including collective intelligence, to better anticipate needs, establish priorities and budgets, and make decisions with citizens. This is only possible with the implementation of a platform for citizen consultation capable of entering their way of life. In addition to saving time, this kind of platform may lead to significant savings for the city. For example, one year after the implementation of the smart and collaborative platform bciti, the city of Brossard estimates over $ 700,000 savings per year. Because a smart city promotes better living together, citizen satisfaction and collaboration! In a world becoming more complex, collaboration between cities and citizens is becoming a key element of satisfaction and allows a concerted action for a positive impact on the environment. The more people in a city, the greater the need for effective waste management, access to services, etc. After consultation, cities that have implemented the smart and collaborative platform bciti record a citizen satisfaction rate of +9/10. The average citizen satisfaction registered in more than 10 cities exceeds 60%. How to become a smart city? To become a smart city, it is essential to start with a transformation strategy and set clear goals. Once these are determined, it’s easier to select the most suitable modules for a personalized collaboration platform. The module most requested by citizens is the “calendar of events”. According to mayors and general managers, the most requested module is that of “citizen consultation”, because it allows to create a link with citizens and better anticipate their needs in real time. Finally, the module considered as a MUST by cities is the module “Alerts and notifications”, because it allows to inform citizens in real time about unforeseen events. 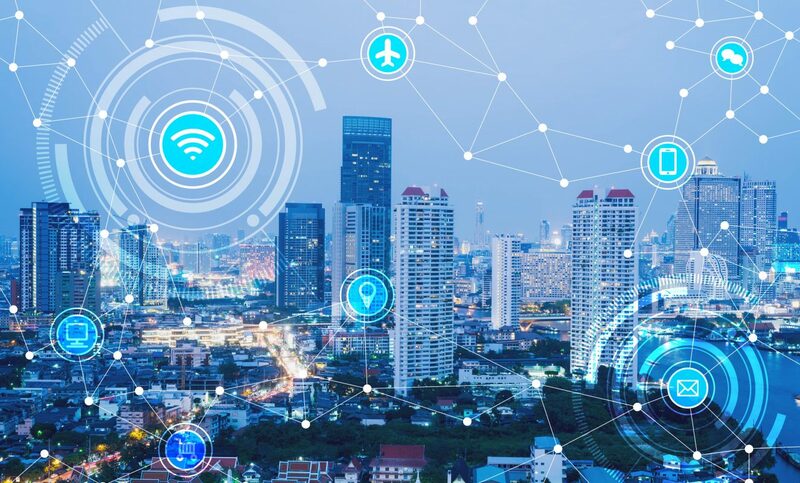 Thanks to the evolution of technologies, we can see the emergence of smart cities that are more integrated in the daily lives of their citizens. Trust bciti for your digital transformation, and allow your citizens to access several urban services (collaborative platform, alerts, calendar of events) via a single application. For municipalities, it is an effective way to anticipate needs and potential hazards, while saving money!